The European Maritime and Fisheries Fund (EMFF), one of the European Structural and Investment Funds (ESIF), supports the implementation of the reformed Common Fisheries Policy (CFP) and the EU Integrated Maritime Policy. The EMFF has an overall budget of over EUR 6 billion for 2014-2020. This support is provided to fisheries (including data collection and control), aquaculture and processing, as well as to the sustainable development of fishery and aquaculture areas and the Integrated Maritime Policy. The EMFF support can be provided through grants and, increasingly, through financial instruments. In 2007-13, apart from in a few Member States, financial instruments were not widely used under the then European Fisheries Fund (EFF). fostering the development and implementation of the Union’s Integrated Maritime Policy in a manner complementary to cohesion policy and to the CFP. Financial instruments are available to all kinds of recipients within the fishery and aquaculture sectors undertaking revenue-generating projects. In the processing sector, support to enterprises that are not small and medium-sized enterprises (SMEs) can only be provided by means of financial instruments. Given the relatively small size of the EMFF, an additional possibility is to explore synergies with other financial instruments already set up through the other ESI Funds, or to be established in the 2014-2020 period. For further information, please consult the fi-compass factsheet on EMFF financial instruments. On this website, EMFF stakeholders can find a lot of useful and interesting information to improve their decision-making about financial instruments. A scoping study is available that explains the use of financial instruments under the EMFF and related advisory support activities. It highlights the potential for financial instruments under the EMFF, as well as the most appropriate forms of financial instruments for the fisheries sector. 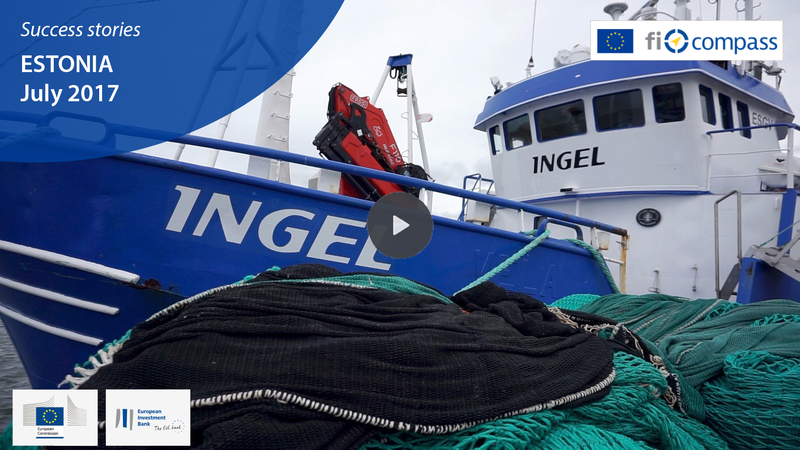 Video testimonials, such as interviews from people involved in the planning of EMFF financial instruments, provide insider information about how revolving funds can help tackle strategic issues related to European maritime and fishery industries. A case study publication and event presentations shows how the EMFF can work alongside other ESI Funds through integrated financial instruments providing advantageous loans to both fishing and farming enterprises.